Note: Mount only, does not include required case. See parts 13-11310 or 13-16366 for available cases. The Sport™ Mount – Flex Suction and Flex Suction EX – an INFINITELY articulating and adjustable arm. There is no other suction cup mount for a device that does all that this unit does in a single, light-weight, easy to configure mount. 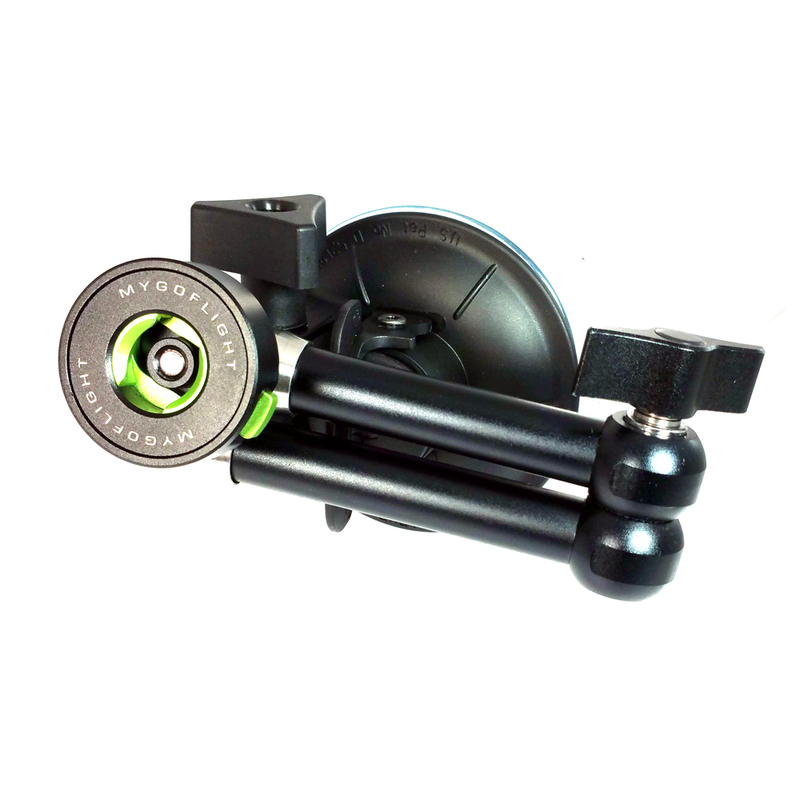 This one mount can operate as a compact suction cup, allowing a close postion to the glass of 3.25 inches. 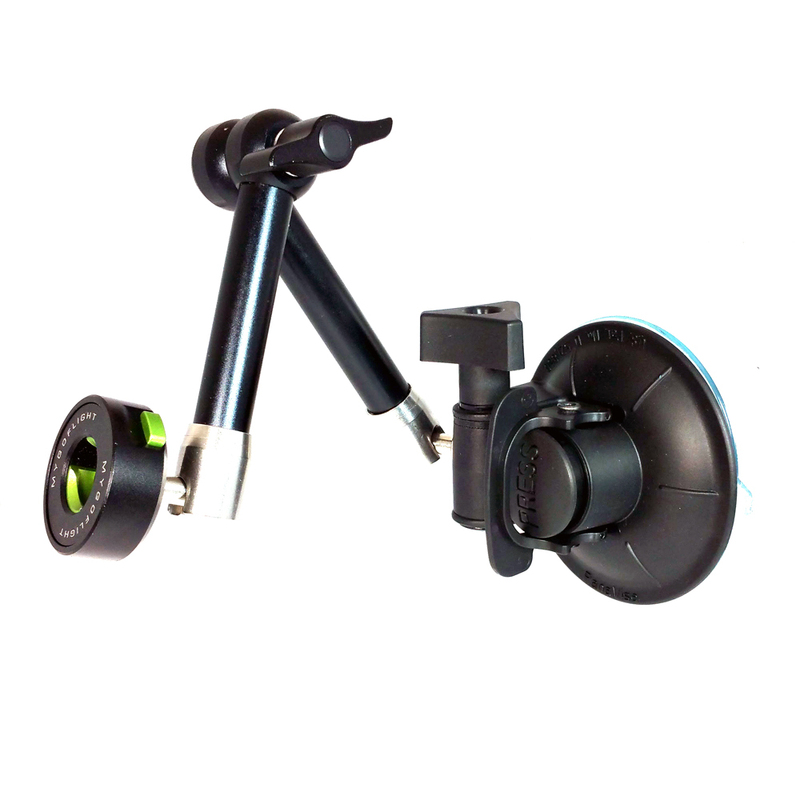 It can operate as standard suction cup mount extending to 10.5″ or 13″ in the EX version. The Sport Mount – Flex Suction is for pilots who want to mount their iPad Sport, iPad Kneeboard Sport™ or Nexus 7 Sport case off a glass windshield, side window or other smooth surface. This mount comes with a Sport™ Adapter – Generation 2. You can choose a Generation 1 adapter in the options. See below for details on the Sport Adapter versions. Aviation Uses The Sport Mount – Flex Suction is the most versatile mounting solution for pilots that would like to install a iPad on almost any flat, smooth surface. The high strength suction cup locks to provide a secure hold to the windshield or metal panel. For pilots looking for more articulation and distance from the iPad to the mounting surface, choose the Flex Suction EX. Use the Sport Mount – Flex Suction to mount the iPad in almost any convenient location on your boat. The versatility of the suction cup allows you to move the mount from the cabin, to the dash, to the galley quickly without the use of any tools. Ideal for boat renters who need to be able to take the mount with them when they leave. Small enough to fit in your luggage or gear bag.